NMSA maritime qualifications do the following including the examination and issuing of certificates of Competency. Issue of STCW Certificates of Competency. All seafarers at sea must be certified with a valid certificate of competency to be able to work on ships, either coastal or ocean going. STCW certificates for conventional vessels are issued here and permits the holder towork anywhere in the world. Issue of PNG near coastal certificates of competency. All seafarers at sea must be certified with a valid certificate of competency to be able to work on ships, in near coastal waters. 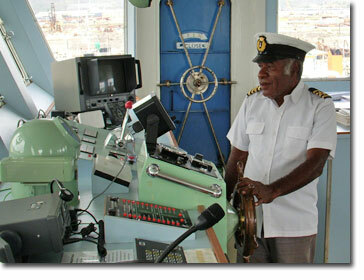 Near Coastal certificates of competency are issued here and permit the holder towork on vessels in PNG Coastal waters. Issue of Certificate of Recognition. Certificates of competency issued by another administration must be recognized and a certificate of recognition issued for the seafarer to work on a PNG registered vessel. Certificates for near coastal are issued here. Issue of Minimum Safe Manning Document for PNG Registered vessels. All vessels operating under PNG registry require a minimum safe manning certificate. This is a requirement to ensure that all vessels have enough qualified persons on board while the vessel is at sea. Issue of Crewman’s Employment Record Books [CERB] and ID Cards. Application and issuing of CERB. This is a record book of all the training and work history of the seafarer. Revalidation of Certificate of competency. All certificates need to be revalidated one time or another and is done on application and meeting the requirements for revalidation. Issue of various endorsements including Tanker. Where a Certificate of Proficiency is issue for a short course, an endorsement is made on the certificate of competency with regard to the certificate of proficiency. For example; A Tanker endorsement if one has done the Tanker Safety course. Conduct examinations for certificates of competency. Written and Oral Exams for all certificates of competency from Rating to Class one is conducted by NMSA qualifications or by approved examiners. Verification of Certificates and documents issued by NMSA qualifications. – All certificates issue by NMSA may be verified online through here. – Work records for seafarers can also be checked here.